If you are building a home, one of the most important things that you need to consider is an electrical outlet location plan. This will help you ensure that your appliances won’t be plugged in a single current, which could lead to an overload and fire. 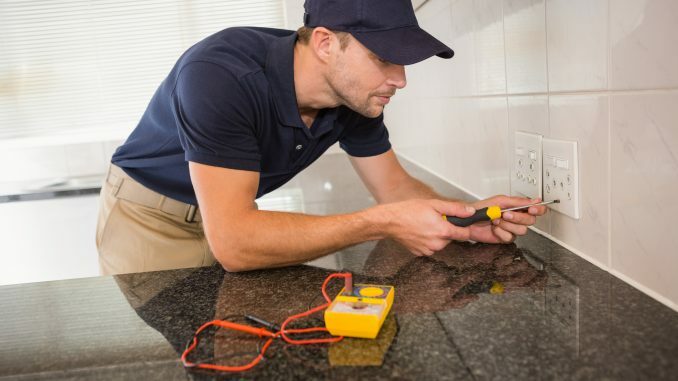 It will also help you assess whether you’re going over your electrical outlet limit. In fact, over 5,300 annual fire accident cases were recorded in the US. Most of these incidents happened during the holidays. Can you imagine how our electrical outlets are overloaded – the Christmas lights, music, and several decors, just to boost the holiday feels. These incidents could have been prevented if they just have ample numbers of electrical outlets rather than using an extension cord. How to Compute an Electrical Outlet Limit? Outlets commonly have a current rating of 15 to 20 amps. So for example, you’re plugging a 170-watt electric fan and a 1700-watt television. Check whether it shares a circuit breaker to other outlets in your home. If yes, check if there are other appliances plugged in those. If none, add the 170 watts and the 1700 watts. Check the volt; usually, it’s 120V. If you are using a 20-Amp breaker, this will not be an issue. However, if you have seen that it only has 15 Amps, you need to plug your electric fan elsewhere. Your electrical outlet location plan is usually included on your floor plan. Systematically plan the outline of your entire home, including the location of your appliances. This will help you ensure that the outlets are placed exactly where they are needed. Compute the appliances electrical power consumption to ensure that you won’t go overboard. Remember, plugging a lot of items in a single outlet can lead to hazards. Follow the recommendations of the National Electrical Code (NEC). This will be your base guidelines when planning the entire electrical construction of your home, whether in your bedroom, kitchen or living room.